Pining Away.. The HOLY GRAIL for Wave Navigating..
or HOW to Eternally Recur. "TO PINE" - in the Gurdjieff sense: "CHARGE THE BATTERY OF YEARNING" - Pining is how we steer our way into TIME itself. Deep in the womb of Inhabiting Time. (TIME LORD, "Spiral Calendar"). related reading: In-PHI-Knit Charge Compression: The Heart of the Gravity Well? It's a good 'screw up', you ignite your pining - 'pinion', then it becomes REALLY free (self-steering). What is it about 'navigating' that is the same as keeping a little tornado centered inside a bigger one? be the role of mind among waves? Are you pining away to know yourself? see alsowonderful hand drawing and development of this idea by sagestick , and Water of "El-Eye-Phi" ...(Life) Does ... El (turning) into the Eye of Phi (Recursion) Create Life in Water? http://www.anth.org.uk/NCT/path.htm Laurence Edwards "Vortex of Life" projective geometry (beautiful graphics and article link above) has long been the cornerstone of our understanding of the spiralic electrical space in the heart. How does the charge you check for with a spark to your tongue to see if your egg is fresh, get stored? > How do you do that?> Thanks! have already activated the pineal through other work they are doing. For others, it may be the first time they've felt this. acervulus ce·re·bri , n : BRAIN SAND . mangenese, molybdenum and sufficient niacin and tryptophan in the diet. a permanent shift in pineal neurochemistry and a twilight state of reverie. now but suspect it will end up at 13 when the poles shift again (pre 2012?). thats about all I can remember for now Ron and Shoebuddy. like to hear more Susan.. I hope this is of some help folks, >From the heart and the head , Simon. Next : Think about what keeps the trace mineral in solution, in order to float like a compass needle in your bird brain. This is what determines IF you can steer (in EVERY kind of flight). It is in fact CHARGE DENSITY WHICH HOLDS THE MINERAL SOLVENT. And yet we have shown that BLISS is the symmetry used to make charge dense or compressed into our bodies (http://www.goldenmean.info/bliss ). So in fact the presence of BLISS directly determines your ability to steer by magnetic line. You steer by phase orientation to magnetic line, not only in every bird flight, but in LUCID DREAMING, in BARDO or DEATH NAVIGATION, in TIME TRAVEL, etc. The ability to turn the fires of passion into bliss, CHARGES YOUR SQUIRT GUN. The evolution of our bird brain, fed bliss juice by the reptilian brain stem amygdala, is mediated by the presence of the crystalization of "BRAIN SAND". Have you ever watched a bird selecting which crystal sand to eat? Think of Stratevarius selecting which precious gems to grind into the violin varnish to shape the (DNA penetrating) bliss piezoelectric of it's ring. ("Red Violin".) During intense kundalini I have frequently heard a loud and very audible crackle as I felt my pineal kinesthetically crystallizing another layer. Maybe CRYSTOS is the name of a principle? A wave learning to share space (at the deposition plane of the liquid gone crystal) is a good way to describe the PSYCHOLOGY of how feelings compress when meditating on what is SHAREABLE. A difference between the bird's brain and our own, is WE MAKE OUR OWN CRYSTAL around the pineal. What we are cryst-all-eyes-ing is our fields. We inhabit that el-land-guage. The more the fold in our heart EMBEDS or becomes FRACTAL or becomes INCLUSIVE to inphiknit harmonics - the closer we are to sustainable - - - and medically immortal - see these links- (HRV when fractal IS immortality by American Medical Association statistics http://www.goldenmean.info/dardik , http://www.goldenmean.info/hrv ). The storal to our morey about pining away, is that creating the screw up charge cascade burning up the glandular ladder, until the pineal ignites - is quite soul making. Specifically it is the culmination of this glandular bliss charge compressor which accelerates biology's magnetism thru light speed. This refers both to the pineal adding and multiplying of wave front velocities, and in the implosion in DNA - braided by bliss sound. ( http:www/goldenmean.info/superDNA ) . In both cases excitation to participate in squirting your blue fire UV coccoon 'incunabula' - seeing stars - is redemptory: the only way out of the speed of light cocoon eggshell is recursion/embedding/implosion. What's neat is that your DNA blue fire squirt gun is smart enough to know this activity, that otherwise it is TOAST - and thus causes you to yearn or pine away for that which IS sustainable as wave. The side effects, bliss nectar dripping, ensoulment, lucid dreaming, bardo steering skills, ability to travel/navigate in time WITHOUT heavy metal, are merely the natural and appropriate biological reward for choosing HYGIENE, BLISS, SUSTAINABILITY, LIFE-FORCE, etc. Consider also how the Melatonin Seratonin content of gathered menstrual blood "Oil of Messeh - Messiah" - Crocodile Juice, royal jelly royal blood maker for Orion Mag's, and Vestal Virgins is the raw material for the fire in the PINEAL. (Gardner's "Genesis of the Grail Kings") , (As Ananda discusses the move from empowering SOMA, to the more parasitic Mushroom addiction..) We suggest the Candace Pert literature "Molecules of EMOTION" be supplemented with a 3D model of the RECURSION IN THE MOLECULAR GEOMETRY OF THE BLISS CHEMISTY, then add a model for how coherence SOUND WAVE of bliss of the spine juice - is their PUMP! This is an exerpt from David Yarrow's HIGHLY recommended article "To B12 or NOT to B12" at http://www.goldenmean.info/yarrow/tob12.htm , particularly recommend the PENT five sided graphic of the 'water splitting clock"
cycles by secreting powerful hormones to activate other endocrine glands and regulate our level of brain function. pineal secretions. Our cobalt-rich radio-transmitter is our central sensor of seasonal change, and controls our circadian rhythms. confluence of eco-rhythms and biocycles." organ of inner magnetic sensing. 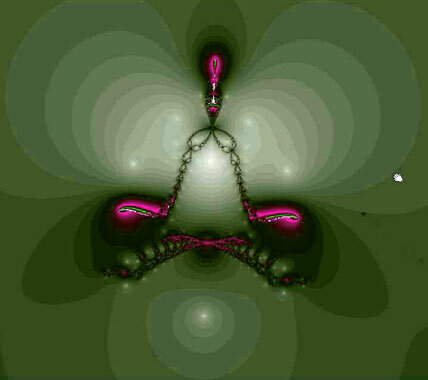 A Meditation Posture or a Fractal Zoom.. or a way to compress? Taking a RIDE from the HEX to the PENT ? "... interior images and interior processes ... are psychophysical. These processes definitely arise at the quantum mechanical level. It's been shown by John Smythies, Alexander Shulgin, and others that there are quantum mechanical correlates to hallucinogenesis. In other words, if one atom on the molecular ring of an inactive compound is moved, the compound becomes highly active. To me this is a perfect proof of the dynamic linkage at the formative level between quantum mechanically described matter and mind." -Short lesson in psychoactive molecular geometrics: compare the above PENT TO HEX BOND GEOMETRY IN DMT ..
link for theobromine- Theobromine belongs to a class of alkaloid molecules known as methylxanthines. Methylxanthines naturally occur in as many as sixty different plant species and include caffeine (the primary methlyxanthine in coffee) and theophylline (the primary methylxanthine in tea). Theobromine is the primary methylxanthine found in products of the cocoa tree, theobroma cacao. Theobromine affects humans similarly to caffeine, but on a much smaller scale. Theobromine is mildly diuretic (increases urine production), is a mild stimulant, and relaxes the smooth muscles of the bronchi in the lungs. In the human body, theobromine levels are halved between 6-10 hours after consumption. Theobromine has been used as a drug for its diuretic effect, particularly in cases where cardiac failure has resulted in an accumulation of body fluid. It has been administered with digitalis in order to relieve dilatation. Because of its ability to dilate blood vessels, theobromine also has been used to treat high blood pressure. Cocoa and chocolate products may be toxic or lethal to dogs and other domestic animals such as horses because these animals metabolize theobromine more slowly than humans. The heart, central nervous system, and kidneys are affected.-. Different types of chocolate contain different amounts of theobromine. In general, theobromine levels are higher in dark chocolates (approximately 10 g/kg) than in milk chocolates (1-5 g/kg). Higher quality chocolate tends to contain more theobromine than lower quality chocolate. Cocoa beans naturally contain approximately 300-1200 mg/ounce theobromine (note how variable this is!). this series being the most obvious one. again this series being the most obvious one. Stepping away from the capacitive transducer. 0.7 1.5 2.8 .....Hz, it is more difficult to find harmonic cascades here. human pineal gland seems to have in the space above the crown of the head.